CHICAGO (WLS) -- Aldermanic races in 19 wards will be decided in a runoff election on April 7. Tuesday's election was the first since Chicago's wards were remapped in 2012. 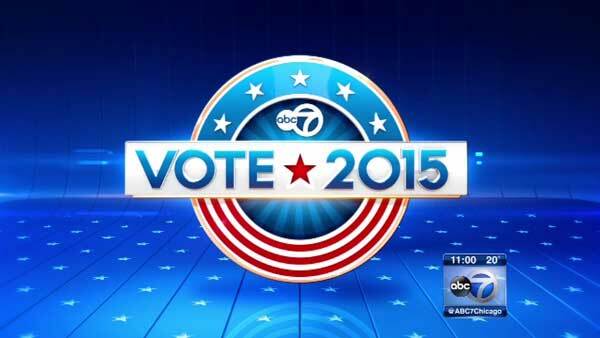 CLICK HERE to get the latest Election Results from ABC7 Eyewitness News. Patrick Daley Thompson, nephew of Former Mayor Richard M. Daley, will face John Kozlar in a race for the 11th Ward. In the 33rd Ward, incumbent Alderman Deb Mell just missed the 50 percent plus one mark. She will face Tim Meegan. Alderman Michele Smith of the 43rd Ward, which includes the city's Lincoln Park and Old Town neighborhoods, is going into a runoff against Caroline Vickrey. One of the surprises Tuesday night was in the 35th Ward on Chicago's Northwest Side. Newcomer Carlos Ramirez-Rose unseated Alderman Rey Colon, who has held the position for the last 12 years. Ramirez-Rose, 26, would be the first openly gay Latino alderman in Chicago's history. Voters gave a resounding "yes" for the referendum on an elected school board in Chicago. But this is a non-binding referendum and not citywide - only 37 wards voted on it. Mayor Emanuel is not in favor of it, while challenger Garcia supports it; it is likely to be a significant issue in the runoff.